Here just after election season, with leaders making all kinds of wild promises they’ll never keep, we decided to ask what, exactly, you would do if you ran the shining city on the ski hill? We gathered promises from potential potentates on our Facebook page, and from a visit to the Mt. 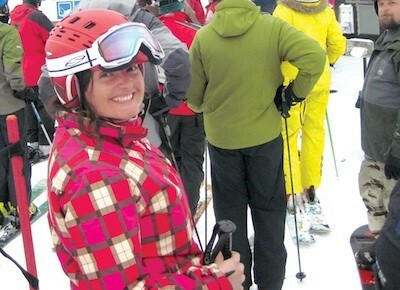 Spokane Ski Swap on Oct. 29; others we just pulled out of our tassled ski hats. 10. “Every sign in Skitown will officially be changed to the metric system.” Somehow that would make every trip down the mountain seem more like an Olympic event. 9. “If elected, I will restore common courtesy to the ski hills.” “I think some of that’s kind of gone,” Kyle Mecham told us, “to the point where people don’t honor the right-of-way system that’s been there for forever. And I think it would be nice to have that back. One time, somebody came from behind my brother and cut him off — then came and yelled at him. And my brother had the right-of-way!” Avenge this outrage: Vote for Kyle! 8. “Skiing in jeans will henceforth be illegal.” Some exceptions will be made — as in the case of Retro Day or for a few select spring skiing days. The Chief of Skitown’s Fashion Police will be issuing citations, so c’mon people, join the 21st century! 7. “If elected, I promise… awesome conditions!” Now that’s the kind of promise the citizens want to hear. In Skitown, delivering the dumbfounded smile is a sure way to get your approval rating up. 6. “Elect me, and every iPod set on shuffle will always pick the perfect song for every run.” Don’t question how it works, it just does. 5. “I promise to end the work day, the ski day and the sleep-in day at 3 pm for a mandatory, Skitown-wide aprs-ski celebration.” It’s like the siesta hour in Latin America, only it’s cold and you’re awake. 4. “Female citizens of Skitown will no longer have to pay taxes — or cover charges.” Chivalry ain’t dead yet. Put that on a campaign sign, and Skitown could be yours, Lance Stengle. But wait: Not to be outdone, Justin Slawson adds some specifics to the message: “Eighteen inches of powder. On a beautiful sunny day.” Clever. 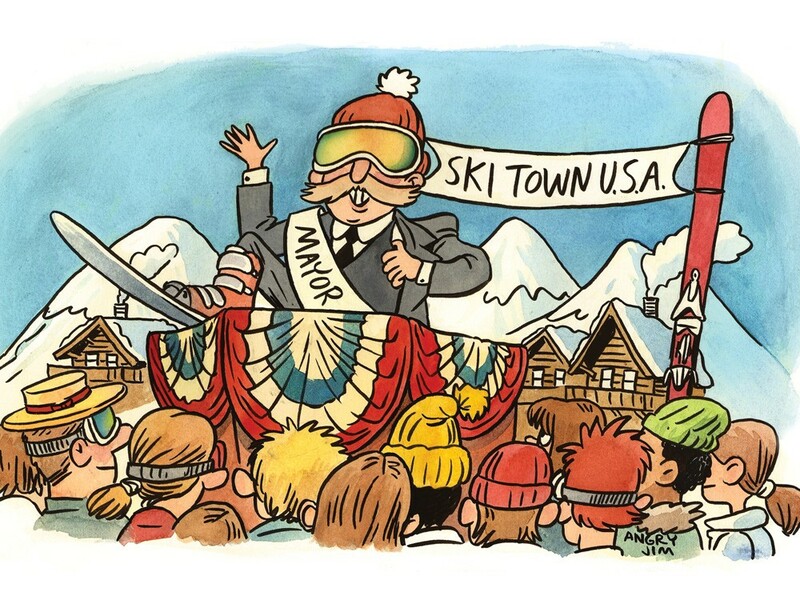 Note to Citizens of Skitown: No bothering Mayor Essig, OK? 1. “The day after I am elected your mayor, I’ll order all vending machines to be emptied of their various fluids and refilled with PBR.” This just in: Election results are complete, and we have a winner!